As some of you know I have a background in graphic design and I was thinking it would be fun to use my design eye to give you an all new feature called best covers of the month. 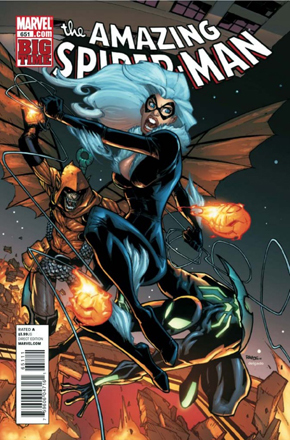 On the first day of the month I will be posting some of my favorite covers of the past month so let’s take a look back some of the best covers of January 2011. 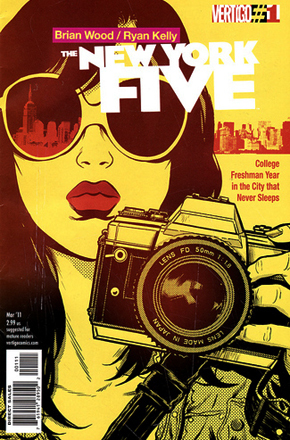 My favorite cover of January 2011 was The New York Five #1 by Brian Wood & Ryan Kelly. The last place Lex Luthor expected his quest for the Black Lantern energy to take him was Arkham Asylum – specifically to the cell of The Joker! 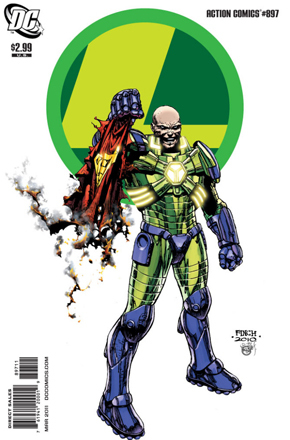 What clues about Lex’s quest could The Joker have to offer, and why on Earth would Lex trust him? Get ready for a one-of-a-kind confrontation between comics’ two greatest villains, as brought to you by the twisted minds of Paul Cornell and Pete Woods! 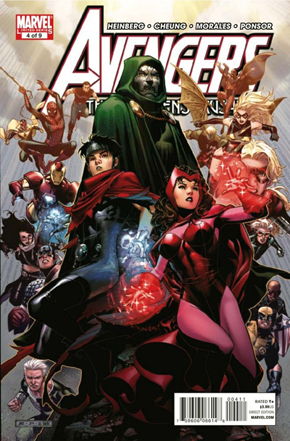 Determined to rescue the Scarlet Witch from the clutches of Doctor Doom, Magneto, Quicksilver, and the Young Avengers form a covert strike force to infiltrate Doom’s kingdom. But their secret invasion of Latveria threatens to become an all-out war when the Avengers and Wonder Man stand in their way. Plus: The Scarlet Witch comes face to face with an enemy even deadlier than Doom who won’t rest until Wanda Maximoff is dead. For more on Avengers Children’s Crusade #4 of 9 make sure to read Ian’s review. From the dark days of World War II to the Heroic Age, witness the brutal battle between Captain America and the immortal evil known as Hydra! How far back has the gruesome group been killing its way to capture the secrets of eternal life? 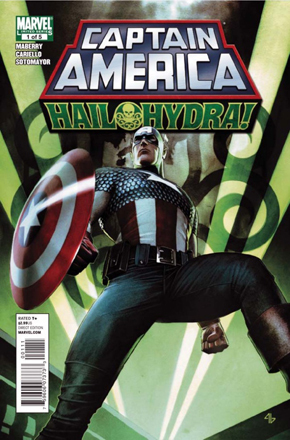 What can Steve Rogers do to halt its sinister spread when the horrific hordes of the undead rise to stop him? Many things have conspired to stop John Constantine from getting married, not least of which is John Constantine himself. But this time it’s different – this time it’s the young, beautiful alchemist Epiphany Greaves. Even as the church fills and the blushing bridegroom slips a carnation into his buttonhole, things can go horribly wrong. Uninvited guests from Heaven and Hell threaten to ruin the wedding of the year. 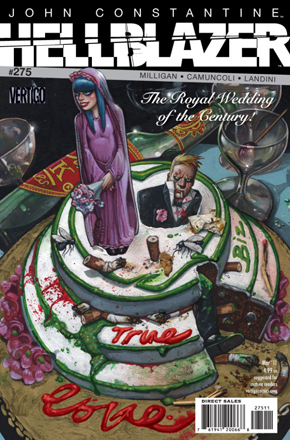 In this issue, confetti and brimstone and the smell of blood fill the air for an extra-sized nuptials issue. Three generations of Starks face their ultimate foe, seventy-some years in the future while, in the present, Spider-Man joins Iron Man as he tries to fill in the blanks of his missing memory. What if amnesia was a weapon? What if the smartest man in the land had ten nightmares that all came true? Who is the son of Tony Stark? What’s inside of the rings? The future starts now, for the Marvel Universe’s favorite futurist. The Eisner-award-winning series makes a four-hundred-something-issue leap and raises a glass of non-alcoholic champale in salute to Ol’ Shell-head! 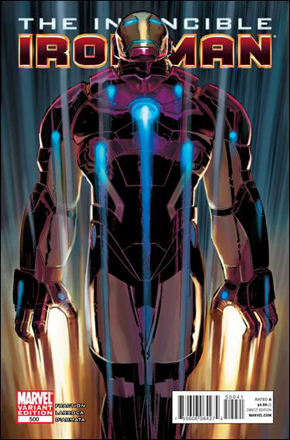 By Matt Fraction (THOR, UNCANNY X-MEN, CASANOVA) and Salvador Larroca (UNCANNY X-MEN, FANTASTIC FOUR), with special guests KANO, Nathan Fox and Carmine Di Giandomenico!For more on Iron Man #500 make sure to read Sheldon’s review. The merciless alien race know only as the Vespa have invaded Earth and proven that even the Plutonian can’t stand in their way. With Modeus’ true nature revealed and the Paradigm outnumbered – global hysteria reaches a fever pitch and the stakes have never been higher. After last issues shocking ending, nothing will ever be the same for Plutonian again. A game-changing issue of the Eisner and Harvey Award-nominated sensation IRREDEEMABLE only from Mark Waid and Peter Krause! There’s nothing more exciting than college life in the big city. But complications can follow you from dark places – and not just from your boring hometown. In THE NEW YORK FIVE, Riley’s sister Angie is making a name in the Lower East Side with her new band, and now Riley is the black sheep of the family. Lona’s murky past appears to have been hiding an alarming proficiency for stalkerism, and Merissa and Ren will confront uncomfortable situations involving older men. But who is the “five” in THE NEW YORK FIVE? 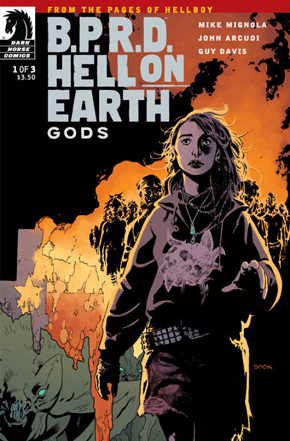 Find out as Vertigo reunites this cast with its stellar creative team of Brian Wood (DEMO, DMZ, NORTHLANDERS) and Ryan Kelly (LUCIFER, Local) in this standard-sized 4-issue miniseries. A PERFECT STORM concludes with a battle royal in the heart of Wakanda…and all bets are off! 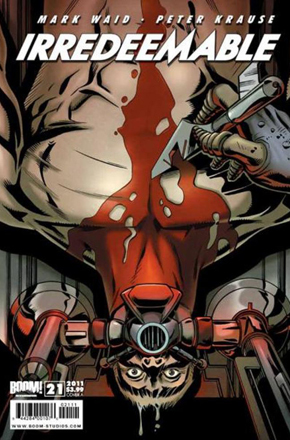 Will your favorite X-Man make it out of the rubble alive? 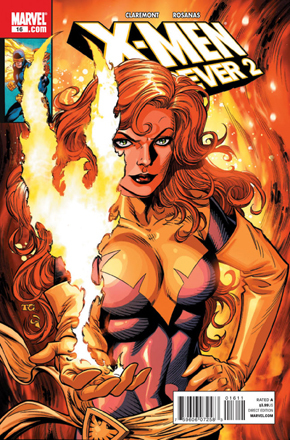 Only X-legend Chris Claremont knows!! It’s the mutant super-team vs. Earth’s Mightiest Heroes! There you go some of the best covers of January 2011. Remember the first day of the month I will be posting some of my favorite covers of the past month.